With a rich history dating back to 1883, and a growing population of almost 20 thousand people, Broken Hill boasts everything from gold-rush heritage and 1950s nostalgia to cutting-edge art – and, surprisingly, a ton of futuristic Mad Max memorabilia! Broken Hill is a fun, unique town with plenty of atmosphere, where a century of history meet modernity in a way that makes us proud. 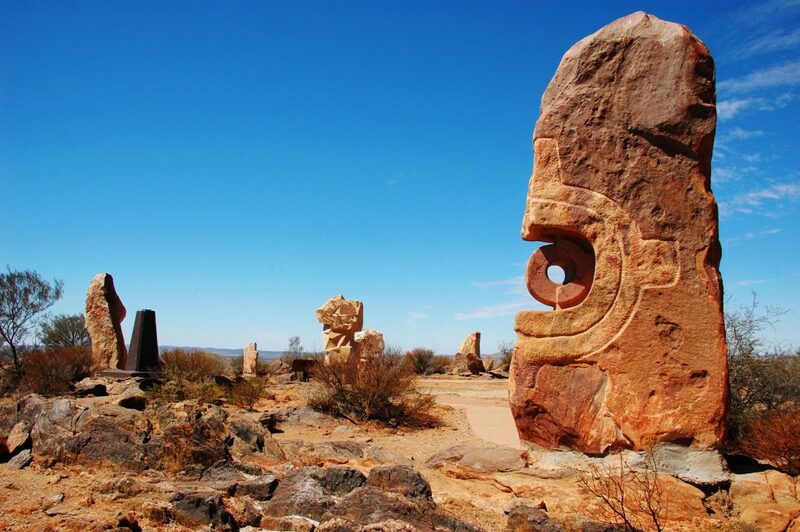 Here’s ten of our favourite things to see and do in Broken Hill. We hope you’ll have a wonderful time making memories in our favourite little big town! 1. Get to know our back story! 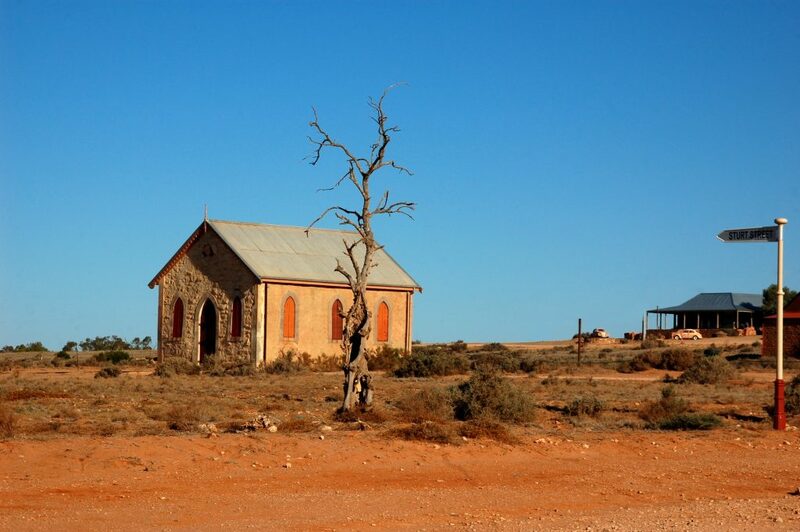 Broken Hill has the honour of being Australia’s first heritage-listed city. We’ve sure changed a lot since it was founded the heady days of the gold rush: there’s so many opportunities for exciting learning experiences. From authentic mine shafts at the Day Dream Mine, to blasts from the past at specialty museums such as the Sulphide Street Railway & Historical Museum and the Geocentre, as well as the fascinating culture and spirit of the town’s Cathedral, Synagogue and Mosque, our roots run very deep. 2. Be awed by our art. Broken Hill has quite the reputation as a thriving regional arts hub, and for good reason: the diverse artistic styles of the Broken Hill Art Trail shouldn’t be missed. Some highlights include the Broken Hill Regional Gallery (the oldest regional art gallery in all of NSW), catching a beautiful sunset from the hilltop Living Desert Sculpture Symposium just out of town, the galleries of famed Brushmen of the Bush Jack Absolom and Pro Hart, and the stunning outback landscapes of the Roxanne Minchin Gallery. 4. Get in touch with your inner cinemaphile. The iconic Palace Hotel was immortalised by the Oscar-winning comedy super-hit Priscilla Queen of the Desert, and the town still celebrates its part of queer legacy with the ever-popular annual drag queen extravaganza, Broken Heel Festival. There’s also the excellent Mad Max Museum in nearby Silverton, owned by a British die-hard fan of the series who moved halfway across the world and settled in outback Australia to start the first (and only!) museum dedicated to Mad Max 2. Aussie film buffs, take note! 5. Visit an (almost) ghost town. Less than 30 minutes out of Broken Hill, Silverton feels like another world: this tiny almost-ghost town has gone from a population of thousands to around 40 today. Rich in history, architecture and Australiana, Silverton is a quaint little piece of living history that has inspired many travellers, artists and filmmakers. Don’t miss the Heritage Walking Trail for a wonderful introduction to the town. 6. Cross the border and meet the locals at Cockburn. Just across the border from Broken Hill, our South Australian neighbour with a resident population of only 19 people is even smaller than Silverton! This tiny town consists of only an Outback pub, the Border Gate Hotel, which is now staffed by resident locals who work there as volunteers, keeping the hub of the community alive. Instead of paying salaries, all money earned at the pub go back into the community, so stop by to support a good cause and enjoy a great pizza. 7. Experience outback Aboriginal Australia. The earliest human settlers in this area are believed to be the Wilyakali, an Indigenous tribal group whose traditional lands centred on the Broken Hill and Silverton area. Indigenous Australians now comprise almost 10% of the population of Broken Hill. In nearby Wilcannia, the Indigenous population is over 60%, and the small town is a vibrant art hub. Some excellent spots to learn about local Indigenous culture, history and art include the Thankakali Aboriginal Corporation art gallery, the Queens Head Hotel pub-turned-gallery in Wilcannia, the Eddy Harris gallery in Warrawong. You can also explore the many historical Aboriginal sites in Mutawintji National Park, and even enjoy a cultural guided tour into the historic site indigenous-owned and operated with Tri State Safaris. 8. Relax and rejuvenate at Stephens Creek. Only 15km from our Outback Resort, Stephens Creek Reservoir supplies water to Broken Hill, and it really is a magnificent spot. We think of this as our special little getaway spot: with a gorgeous lookout over the water and some picnic tables, it’s a relaxing way to spend a lazy Sunday watching the sunrays glistening on the water and resting your weary body after all those amazing heritage and art trails you’ve been exploring! After your visit, cool down with a drink or have a meal at the Broken Hill Outback Resort minutes from Stephens Creek. You probably won’t find Cate, Nicole or Kylie out this way often (well, at least not unless they’re filming the next great ‘Hillywood’ flick) but you can certainly “hang out with the stars” at Outback Astronomy. Far away from the city lights, the sky viewing out here is superb, and with both naked eye and telescope sky shows, you’ll learn so much about the beauty of the universe – perfect for budding astronomers and casual star-gazers alike. 10. Enjoy a great meal (and maybe a tipple). The Palace Hotel is but one of a multitude of fantastic places to eat and drink in Broken Hill and surrounds – from the gorgeous heritage architecture at the Astra Hotel, to the 50s nostalgia of drinking a soda-spider at Bells Milk Bar, to the back-of-beyond outback charm of the newly restored Mt Gipps Hotel located at the Broken Hill Outback Resort 13kms out of Broken Hill on the Sydney side where you can enjoy great-tasting food with a side of amazing atmosphere when you visit. We hope that we’ve given you an appetite for adventure! 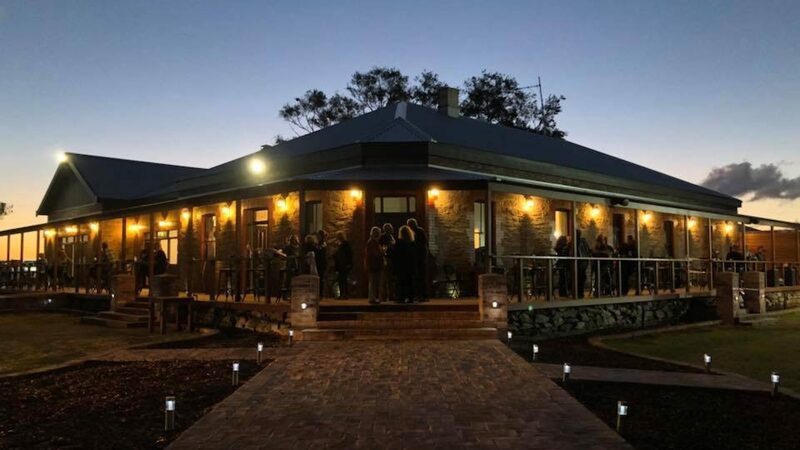 There’s something truly special about Broken Hill, and we’re delighted to be sharing the rich beauty of the bush with holidaymakers from the recently opened multi-million dollar Broken Hill Outback Resort. Located 15 mins from the centre of town, and only 4km from Outback Astronomy, we’re nestled in a perfect spot to base your explorations, and we’re looking forward to sharing our infectious enthusiasm for the out-of-the-ordinary Outback with you.